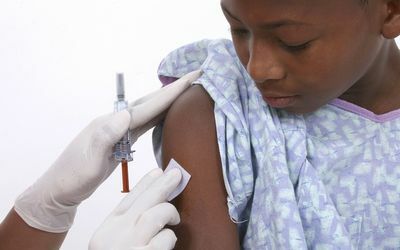 A report by WHO in February 2016 shows that one out of every five African children are at risk for diseases like tetanus, pertussis, and measles because they do not receive all of the basic vaccines they need. Widespread fears and myths often prevent communities from embracing vaccination as a life-saving weapon for their children. Here are common myths that place children at risk for deadly diseases. Vaccines are very safe. Vaccine reactions tend to be mild and include a slight fever and a sore arm. Severe side effects are rare. Improving hygiene, hand washing, and clean water help protect people from infectious disease, but infections can spread no matter how clean we are. 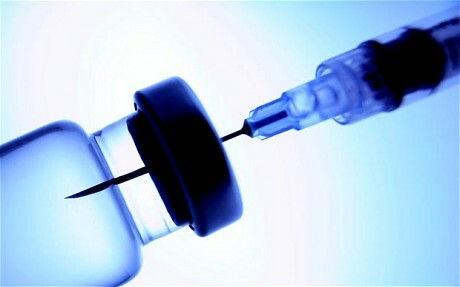 Without vaccination, diseases that have become almost extinct worldwide, such as polio and measles, will reappear. In northern Nigeria and Uganda for example, there is widespread belief that vaccination in childhood causes infertility when they become adults. There is no evidence to support this. Receiving several vaccines at the same time has no negative effect on a child’s immune system. Children are exposed to hundred s of foreign agents daily in food and the environment that trigger an immune response. Worldwide, most outbreaks of vaccine-preventable diseases are started by unvaccinated children and adults. Not vaccinating your child puts infants and young children with immature immune systems at risk for severe disease. The scientific evidence clearly shows otherwise. Vaccines save at least 2 million lives a year. The truth is that because of the success of vaccination programs, most of us are fortunate to have never experienced the devastation caused by the diseases vaccines prevent. Natural immunity from getting an infectious disease will certainly prevent a child from getting the disease again but comes at a huge cost. The child is sick for days, with school absenteeism and lost working days for parents. More important, though is the significant risk of permanent disability such as paralysis, deafness, mental retardation and even death from the disease. More than 100 studies have shown that there is no link between vaccines and autism. Thimerosal, an organic, mercury-containing preservative is added in tiny amounts to some vaccines that come in multi-dose vials. Scientific evidence does not show that the amount of thimerosal used in vaccines causes any health risk. It’s way more costly to treat a child who is sick with a vaccine-preventable disease. The cost of hospital admission and medicines can be crippling to the average low-income African family. There are also indirect costs, which include lost income from missing work, school, and childcare. You avoid these costs and the heartache of watching your child suffer by vaccinating your child. This entry was posted in HEALTH, Uncategorized and tagged child development, child health, health, myths, Vaccination, vaccine.